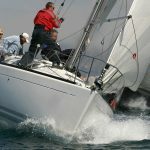 A challenging navigation event for PHRF spinnaker, PHRF non-spinnaker and IRC boats, plus an additional start for unrated cruising vessels (PHRF ratings will be assigned). Gala party and awards presentation for skippers and crews at City Island Yacht Club. Guest moorings available. A YRALIS qualifying race. Overall winners in each class will be inscribed on the Walter Cronkite Perpetual Trophy. 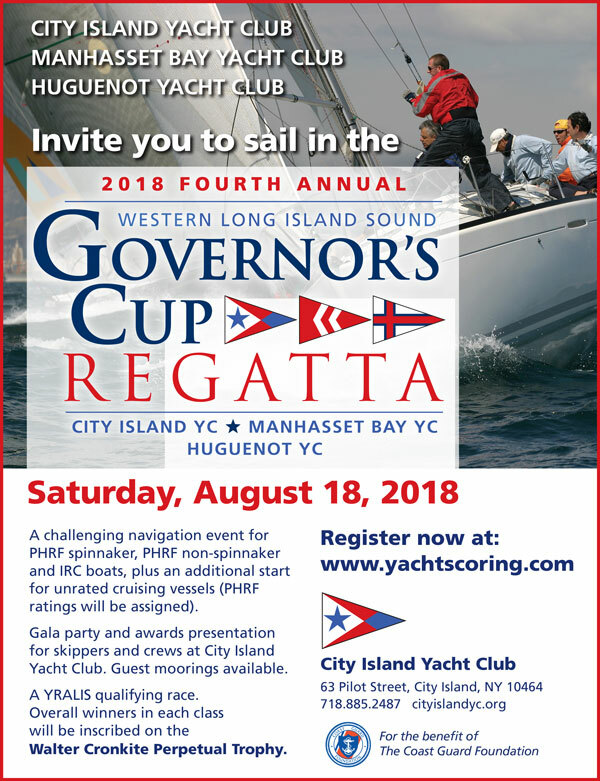 Saturday, August 18, 2018 – 4th Annual Western Long Island Sound Governor’s Cup Regatta …. With Manhasset Bay YC And Huguenot YC. Hosted This Year by City Island Yacht Club.